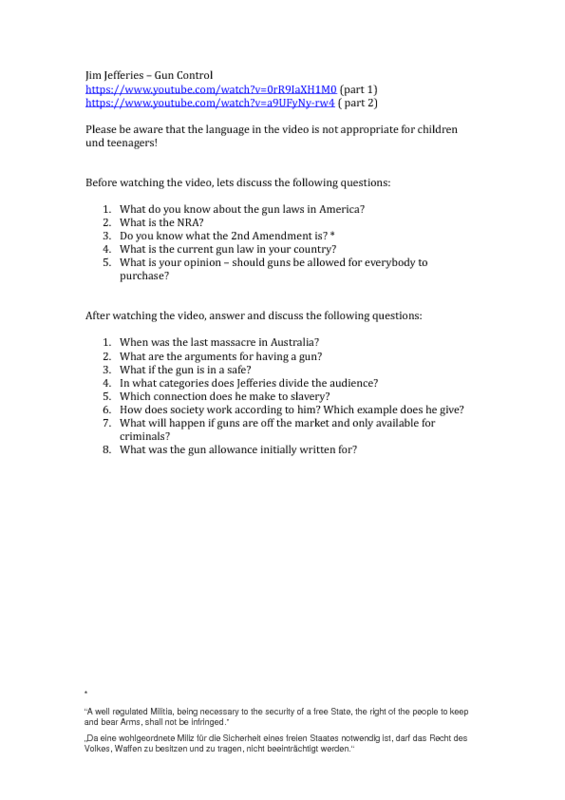 This worksheet deals with the question of gun control in the US by making use of the very funny comedian Jim Jefferies and his show on gun control. A good lesson sheet for advanced (adult) learners to discuss a controversial topic and have a good laugh. Also interesting to listen to an Aussie accent!